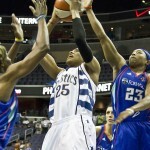 The Washington Mystics (6-4) overwhelmed the New York Liberty (4-5), 82-65, in an old-fashioned, honest-to-goodness rout. 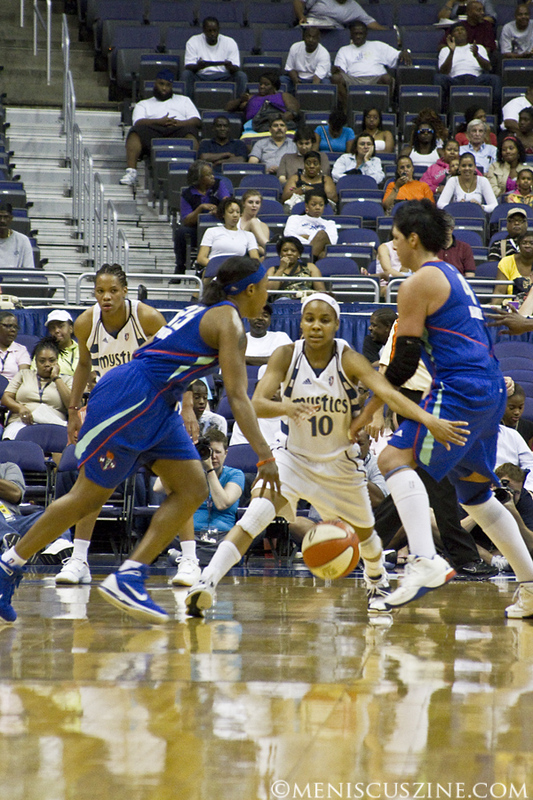 In one of the most complete games that the Mystics have played, Washington won in very facet of the game to the delight of the 8,500 fans fortunate enough to stay away from the outdoor heat at the Verizon Center. 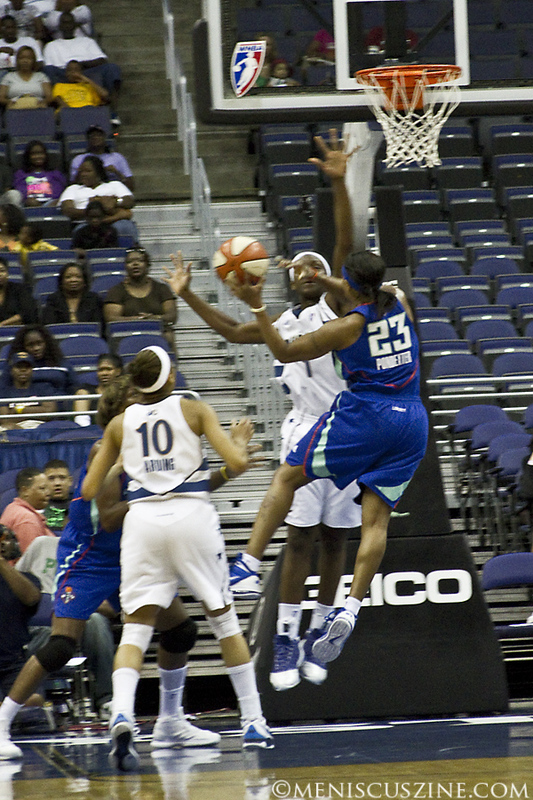 From the first second to the final whistle, the Mystics never trailed and led by as many as 25 points with seven minutes left in the game. 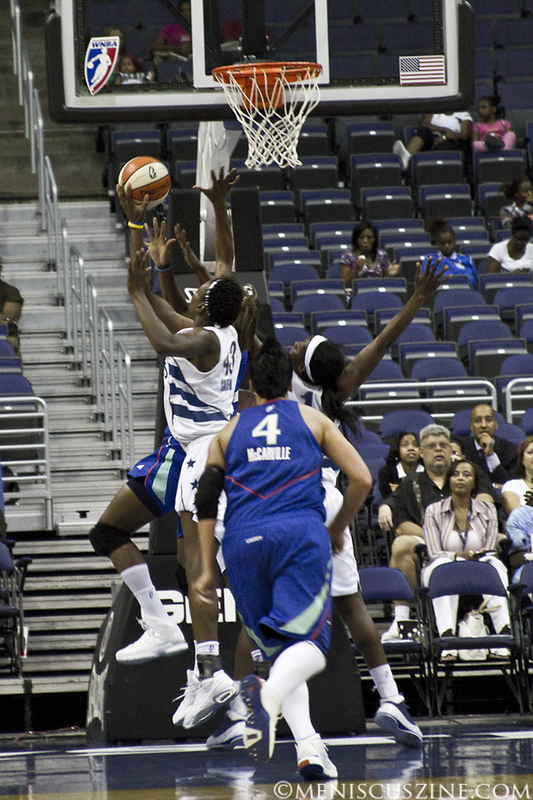 The total dominance of the Mystics can be measured with two statistics: turnovers (the Mystics had 8 to 21 for the Liberty) and field goal attempts (Washington had 17 more). 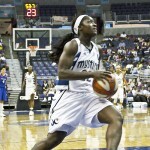 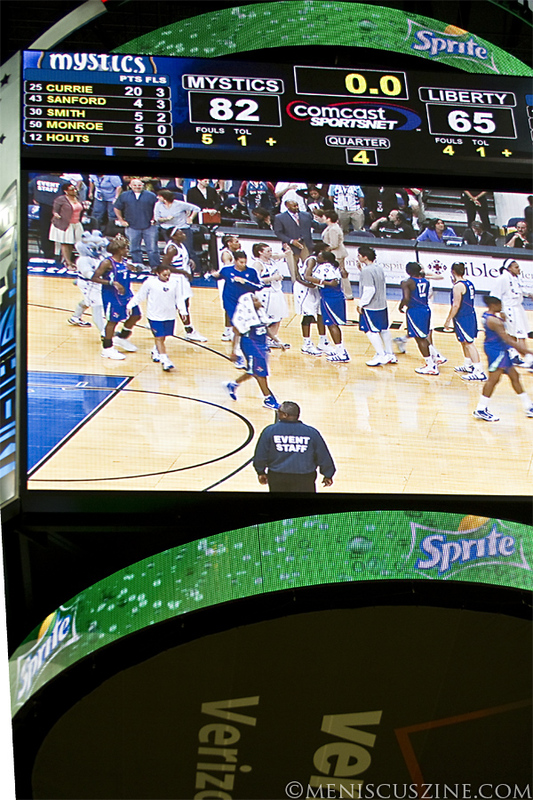 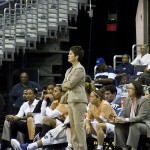 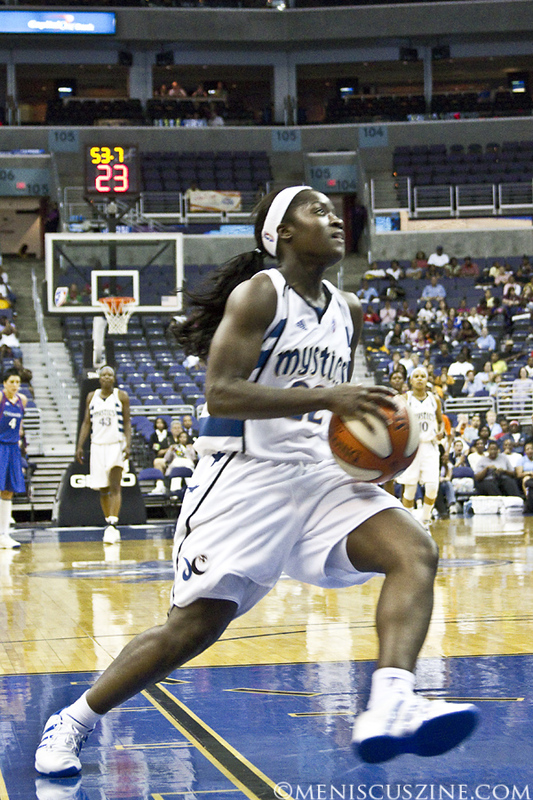 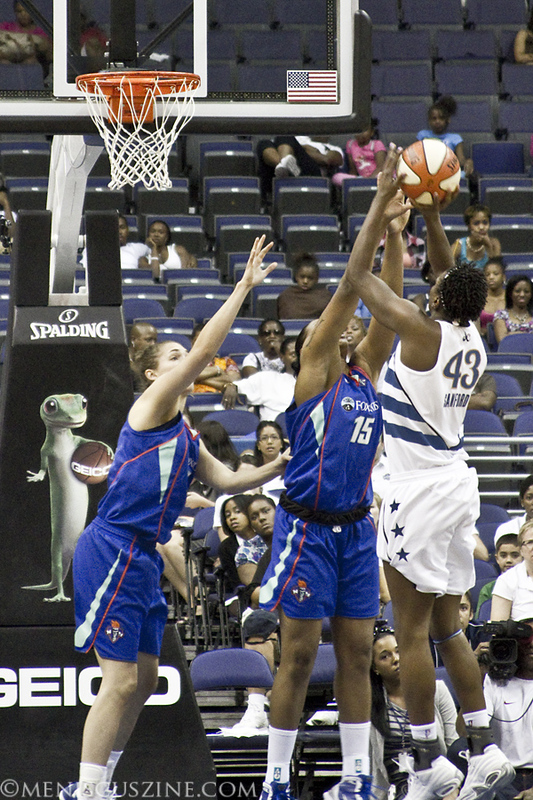 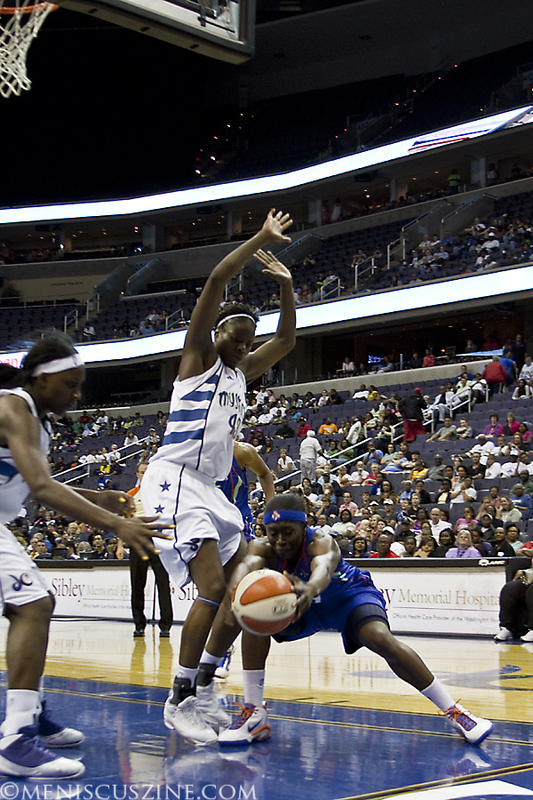 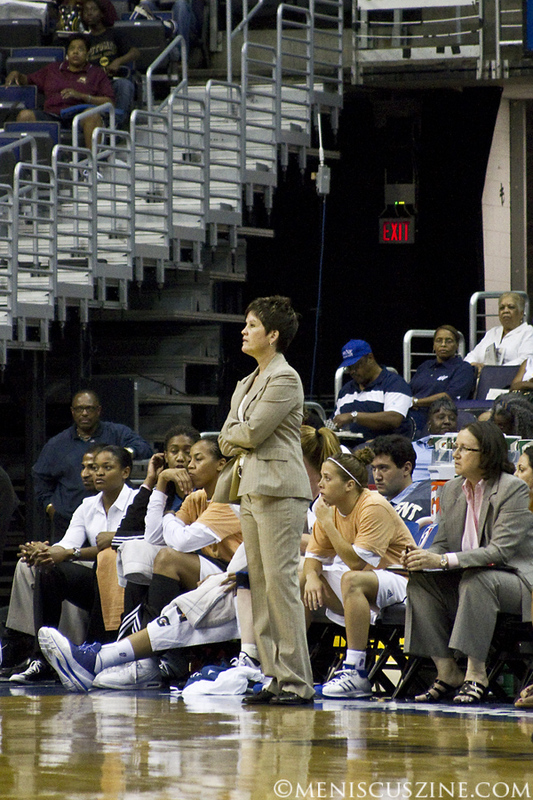 Monique Currie scored 20 points with six steals while Crystal Langhorne and Lindsey Harding each contributed 13 points. 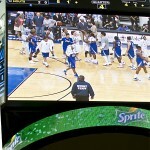 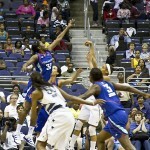 The starters had ample support from the five substitutes who contributed a total of 27 points. 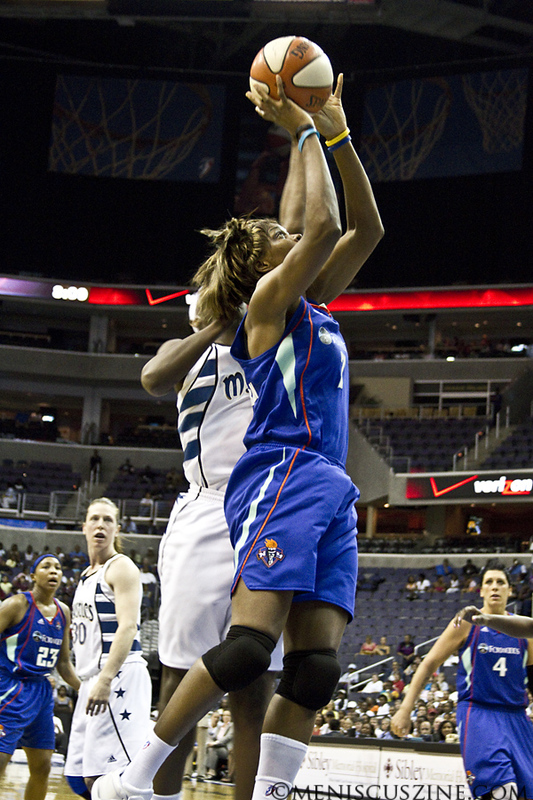 Cappie Pondexter scored 20 points for the Liberty but was the only starter in double digits. 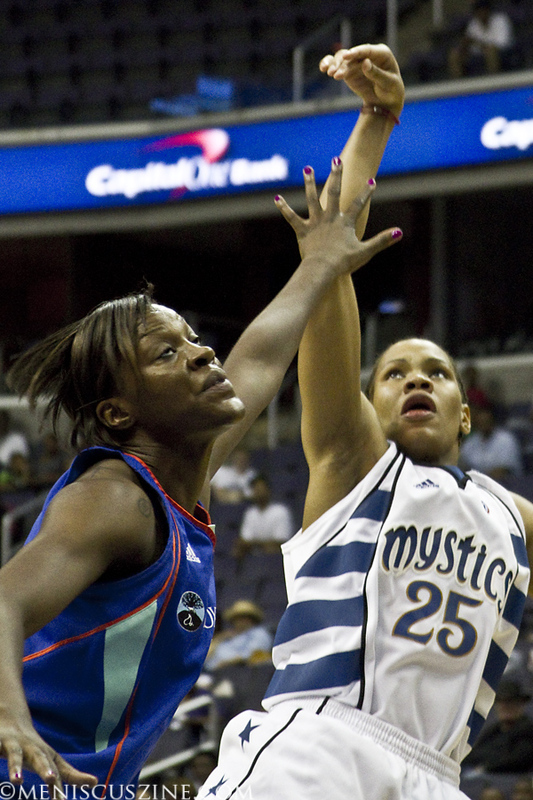 The Mystics have beaten their Eastern Conference opponents twice so far and will be playing them three more times in the regular season (July 15, Aug. 6 and Aug. 20). 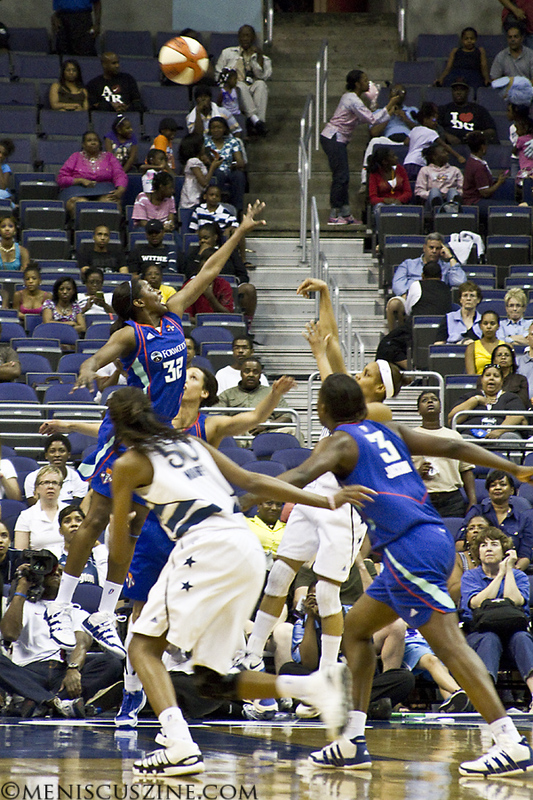 In related news, the chairman and CEO of the Monumental Sports & Entertainment, Ted Leonsis, announced that he and his partners have “officially completed the transaction to purchase the NBA’s Washington Wizards and the Verizon Center” from the Pollin family. 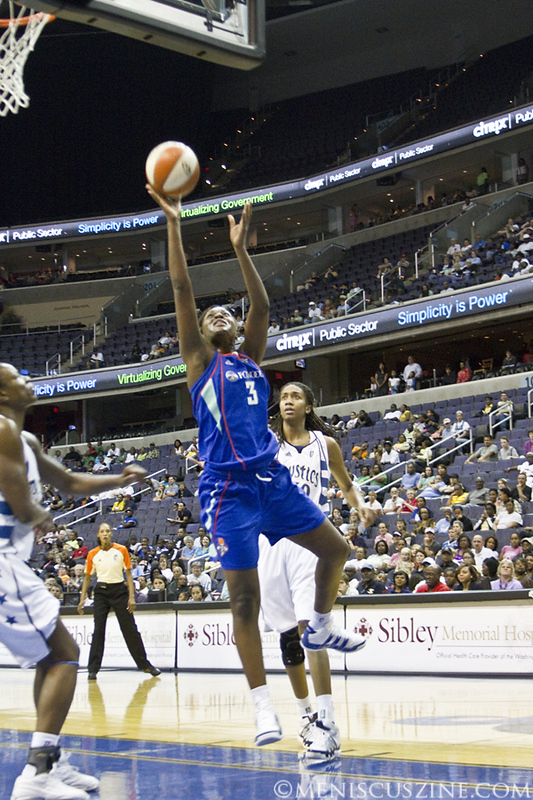 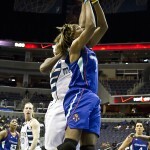 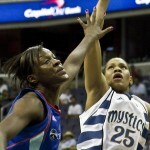 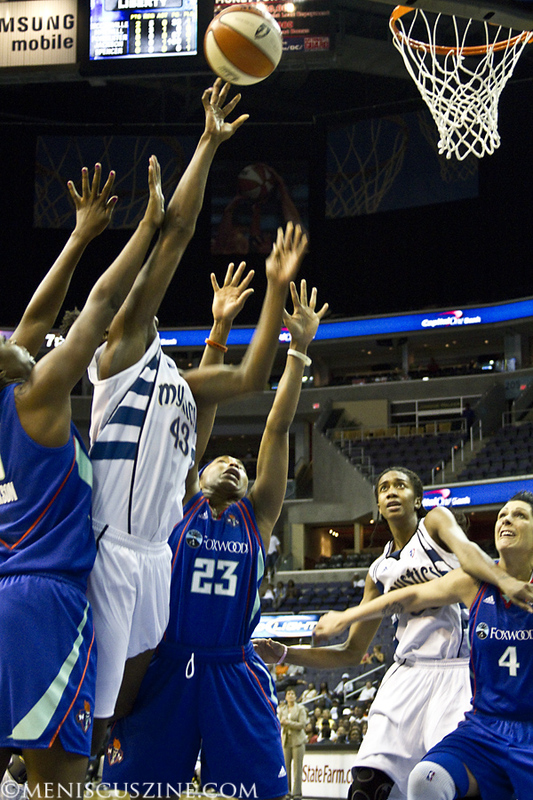 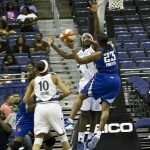 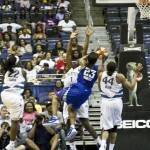 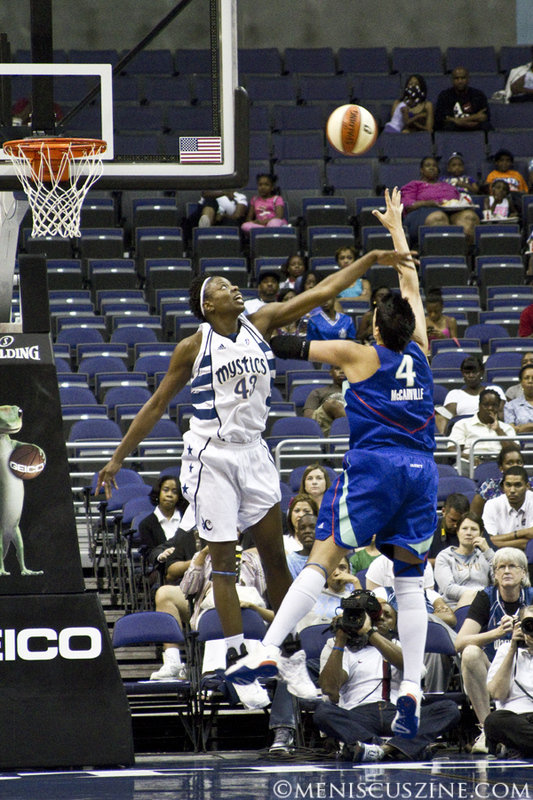 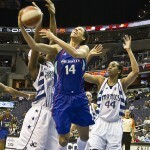 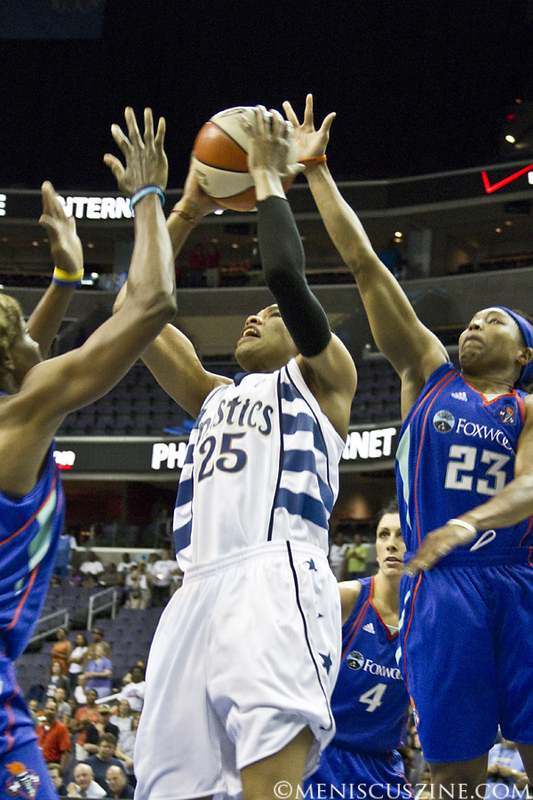 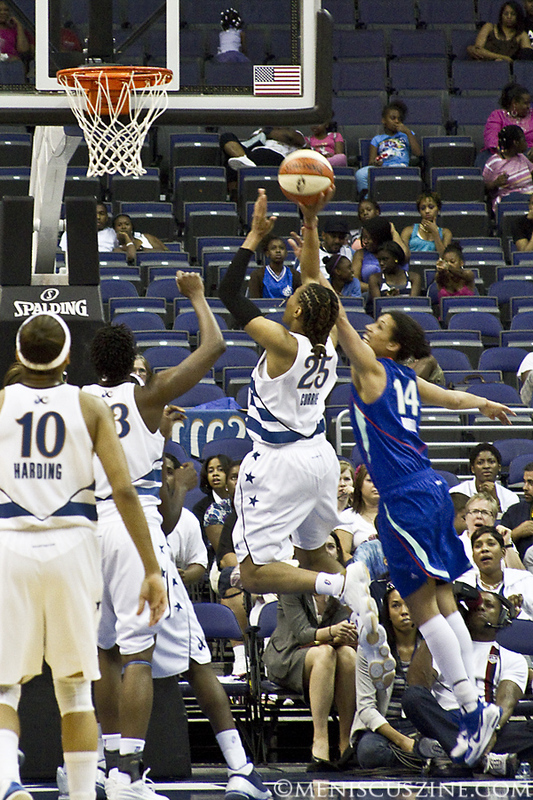 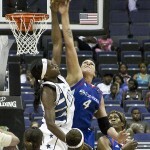 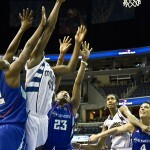 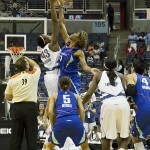 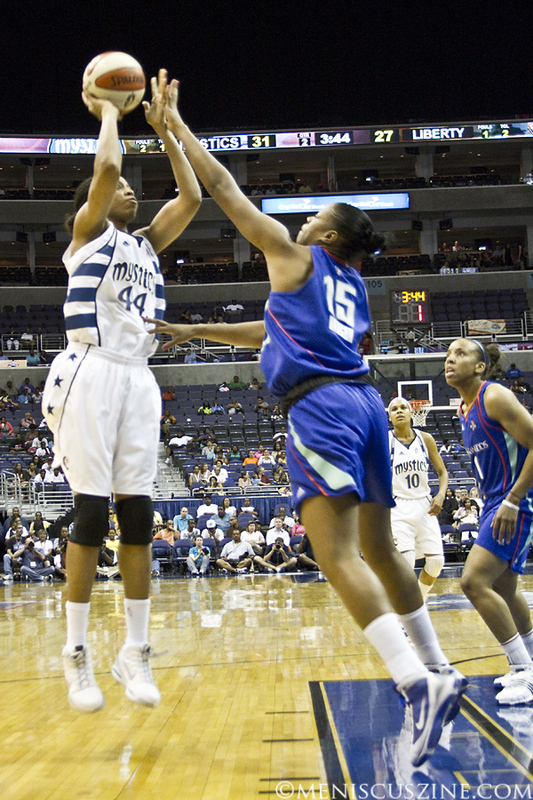 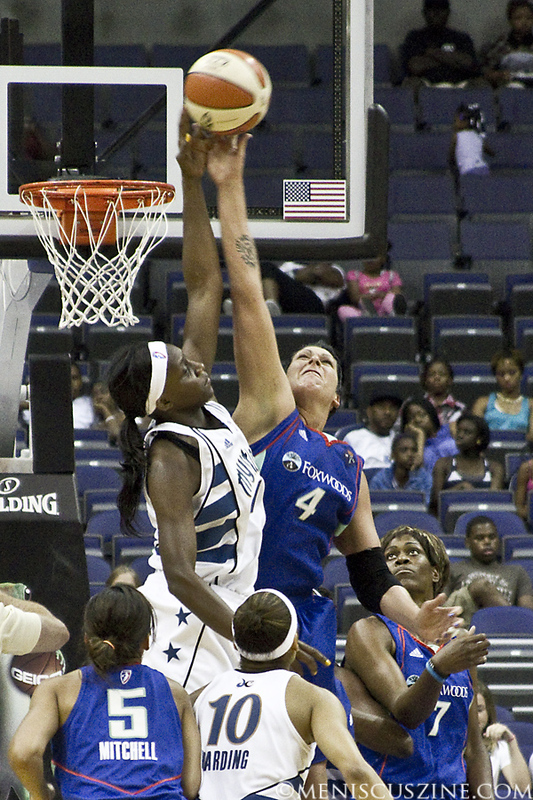 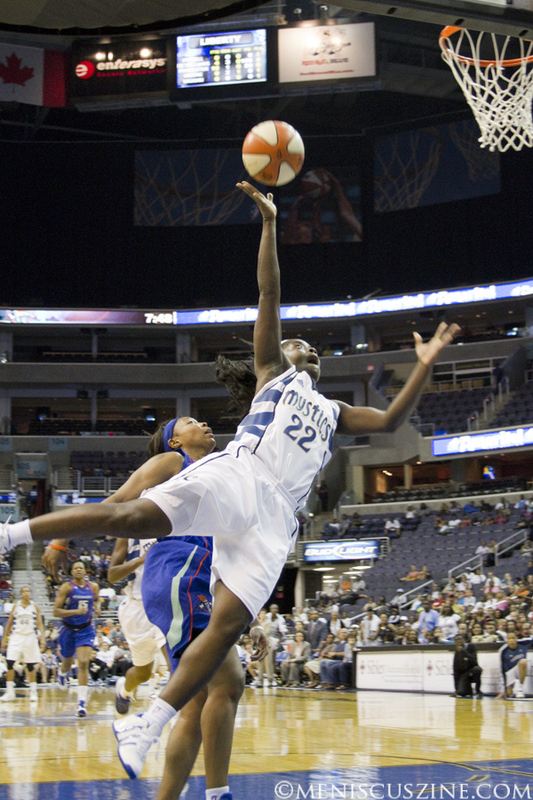 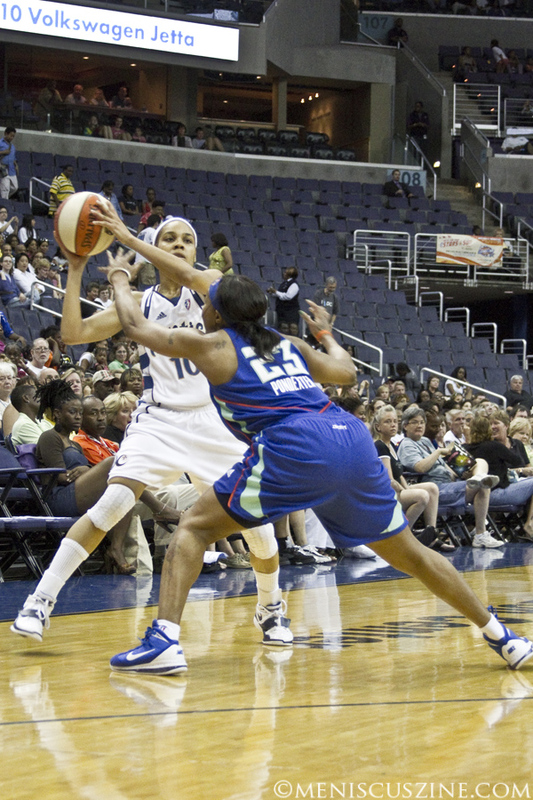 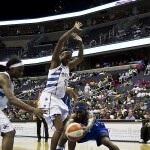 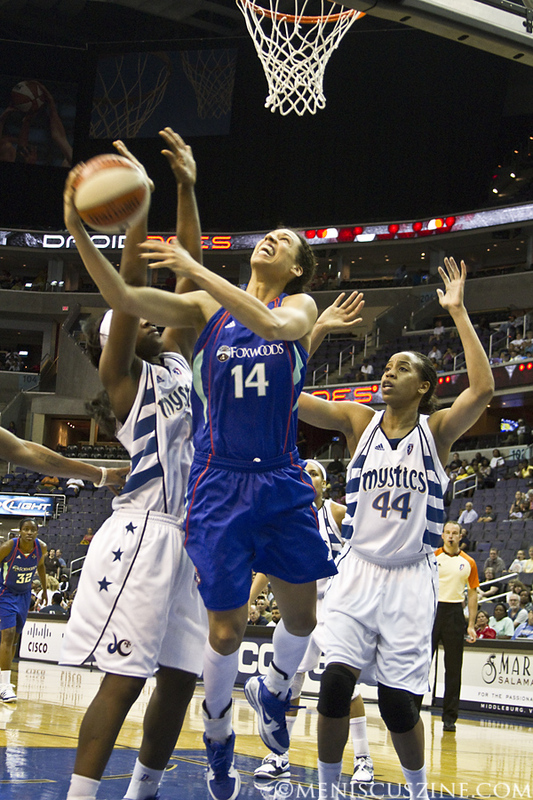 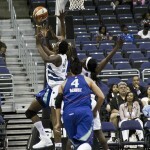 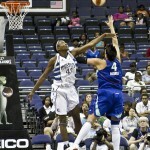 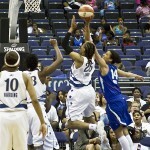 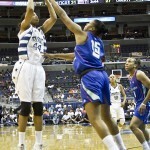 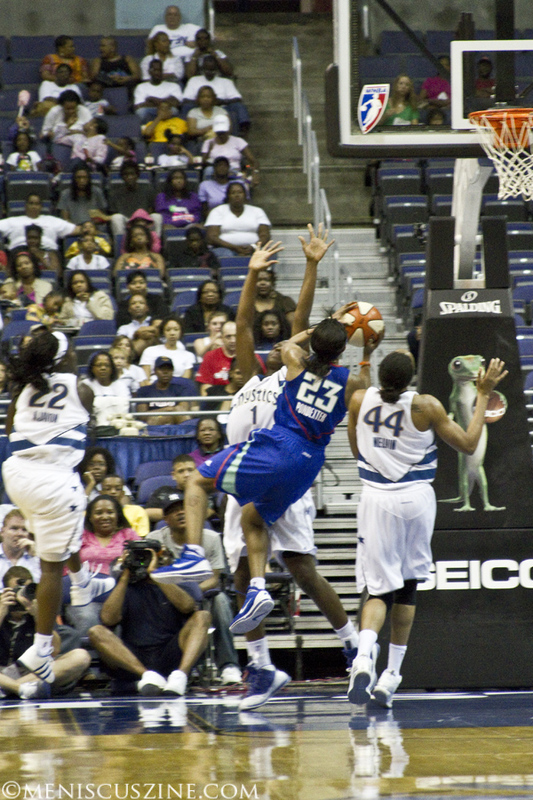 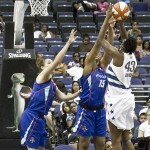 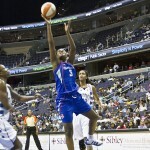 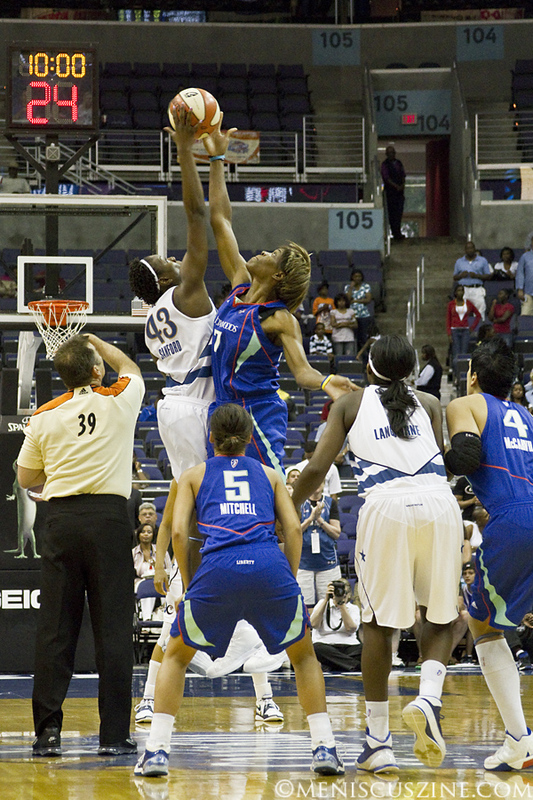 Throughout the 2010 Women’s National Basketball Association (WNBA) season, Meniscus will be covering a select number of the Washington Mystics’ home games at the Verizon Center in Washington, D.C. For tickets, go to http://www.wnba.com/mystics/tickets/ticketsindex.html.